Lesbos is the third largest Greek island, located in the northeastern Aegean Sea, separated from Turkey by the narrow Mytilini Strait. Greek emigrants, mainly from Thessaly, arrived probably beginning in the Late Bronze Age. In Hellenistic times, the island belonged to various successor kingdoms until 79 B.C., when it passed into Roman hands. 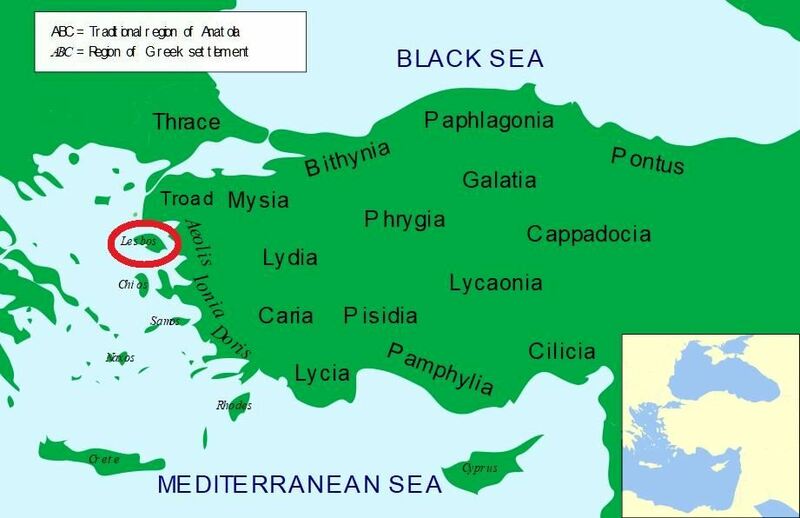 The most powerful cities were Mytilene and Methymna. In addition to the local coins, two important coinages, one in billon and another in electrum, had a general circulation throughout the island. Ref: Cf. BMC 8-14; HGC 6, 1037.